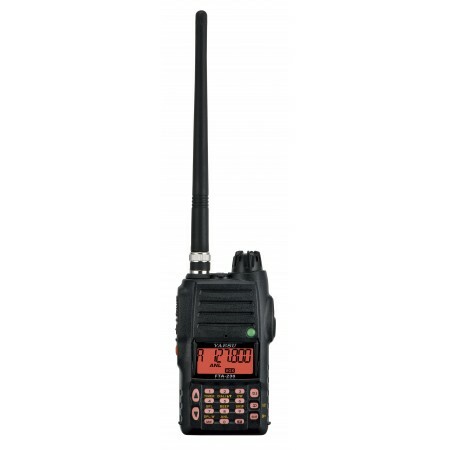 The Vertex Standard VXA-220 Pro VI is a compact, stylish, solid and submersible hand-held transceiver providing communication on the International Aircraft Communication Band. Additionally, it provides receive on the Navigation Band. The VXA-220 boasts 700 mW of clean audio output and it also provides 8.33 kHz synthesizer steps for the new narrow-band channel plan. The VXA-220 has 700 mW of receiver audio. A great deal of effort was made to give you the best sounding audio from a compact portable. The VXA-220 is built inside a rugged Aluminium case, carefully sealed to protect against water ingress. Built to survive immersion in water for up to 30 minutes at a depth of three feet, VXA-220 can keep you communicating even if it gets wet due to severe weather or unforeseen water landings. 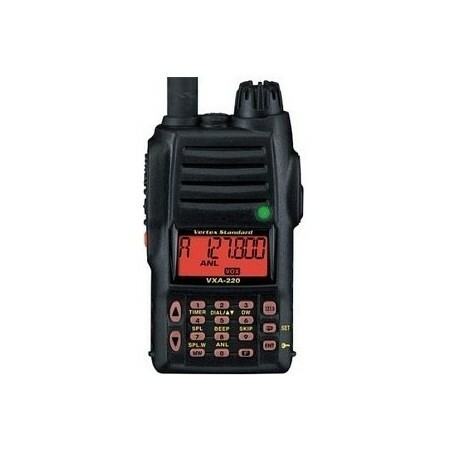 The VXA-220 can receive all 10 NOAA weather broadcast frequencies. The Automatic Active Weather Channel Locator (a Vertex Standard exclusive) automatically scans for active NOAA weather stations in your area when WX band is selected.